If there’s one thing that Uruguay is known for other than all of its beautiful landscapesis Luis Suarez, the football legend hailing from the country.Talk about his exceptional skills as a striker in the sport or the vivid controversies that he often gets embroiled in, Suarez is always in the limelight.FC Barcelona, Liverpool and the Uruguayan National Team are the biggest teams that Suarez has played for, along with the likes of Ajax and Nacional. He is regarded as one of the best forwards of the world and is known for his intelligent techniques and quickness in the game. Born in Salto, Uruguay Luis Suarez was one among seven children of the family. Like many other sportsmen, he was great at the sport right from the time he was a kid. Nacional team’s scout Wilson Pirez spotted him at a kids’ football tournament and shortly after that, Suarez was a part of Nacional while still in school. Life wasn’t easy for Suarez. Not by any means. He could not handle his parents’ getting divorced very well and quit football for a while. He went back into Nacional after a few years after turning fifteen, apparently influenced by his girlfriend Sofia. She also inspired him in the later years to grow in football and eventually get into bigger leagues. 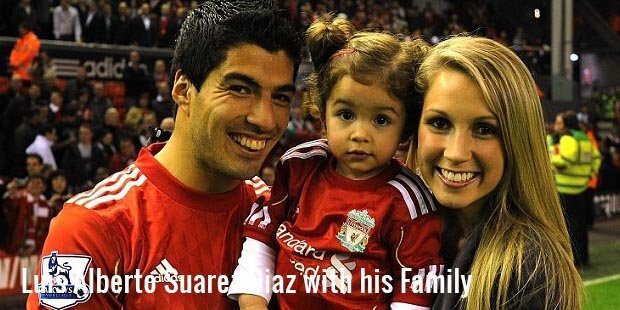 Suarez is married to Sofia with a daughter and a son. Long time after he got back into football, Luis Suarez played for Ajax. He was made the team captain in just two years and created a record of scoring 35 goals in 33 games. 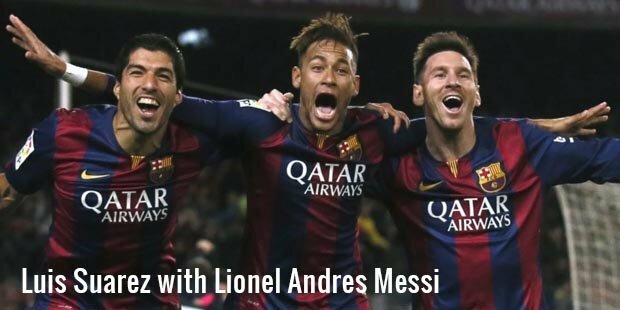 Liverpool was next on the list for Suarez and FC Barcelona came after that.While Suarez is widely known for his remarkably intelligent techniques in the game, he is also known for a lot of controversies. He bit the members if his opponent team thrice now and was also accused for the racial abuse of a player once in the past. 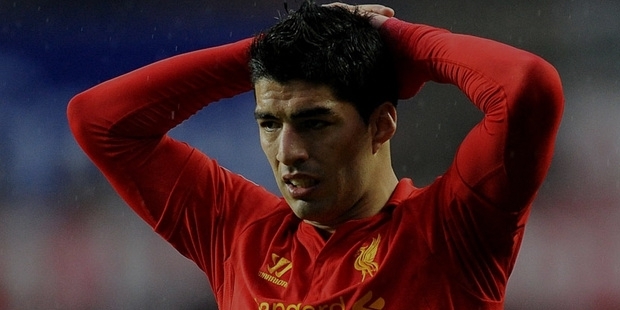 Suarez attributes his harsh behaviour with the stress that he experiences on the field. A lot of Uruguayans and people who know him on a personal level would actually describe him as “a man with a very large heart”. They love him for what he is, a simple and a doting family man. Apart from famous football players that he is. Luis won around twenty awards in his dream career span. He won the prestigious Golden Boot Landmark Award thrice. Other awards like Player of the Year award for Liverpool, Premier League and Ajax, The European Golden Shoe were some of the honours he was best owed with.